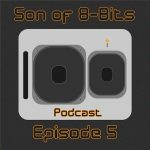 Welcome to episode 5 of the Infinity Podcast! A monthly selection of the finest techno tracks from the past, present and future. In this first episode of 2019 we have an exclusive guest mix by Ralph Peter Wolff! A first for this podcast series, but there’ll be more exclusive guest mixes in the months ahead. And in the 2nd hour a selection of favorites from 2018, featuring tracks by Hyperloop, Christian Smith & John Selway, Charles Fenckler, Cari Lekebusch & Benjamin Mull, Spektre, Pleasurekraft and many others!